Cody was born in Dayton OH. His mom Anna's passion for art and architecture influenced both William and his brother John. By 1930 the Cody family relocated to California. Cody designed and built stage sets for school plays at Beverly Hills High School, graduating in April 1932. He graduated from Santa Monica Junior College in 1939, and in 1940 he enrolled in the College of Architecture and Fine Arts at the University of Southern California; graduating in 1942. While attending Santa Monica Junior College, Cody worked for architects Heath Warton and Asa Hudson. In 1943 Cody worked for an Oakland based engineering firm on a Kaiser Steel plant in Fontana, California. During this year he also worked for the San Francisco firm of Blanchard, Maher, and Ward on Navy installations on Treasure Island. In 1944 he worked primarily on elementary and high school buildings in California and Arizona for Marsh, Smith, and Powell in Los Angeles. It was also in 1944 that Cody worked for Cliff May, a leading southern California building designer, on May's influential Pace-Setter House. In 1945 Cody was retained to alter the Desert Inn in Palm Springs. By 1946 Cody was licensed to practice architecture in California and Arizona, and in 1946 Cody received his first independent commission for completing the Del Marcos Hotel, winning him a 1949 award by the Southern California AIA. In 1950 he converted the Thunderbird Dude Ranch into the Thunderbird Country Club. This led to many commissions for clubhouses, recreational facilities, and residential developments at Eldorado Country Club, Tamarisk Country Club, the Racquet Club, the Tennis Club, the Seven Lakes Clubhouse, and the Palm Springs Country Spa Hotel, among others in California, Arizona, Texas, Cuba, and Mexico. When Robert P. McCulloch founded Lake Havasu City, Arizona, Cody was his major architect. Cody also designed a corporate complex for McCulloch near LAX, the St. Theresa Catholic Church/Convent, and the Palm Springs Library, among other many projects. Bio adapted from Wikipedia. Research by Catherine Westergaard Cramer. 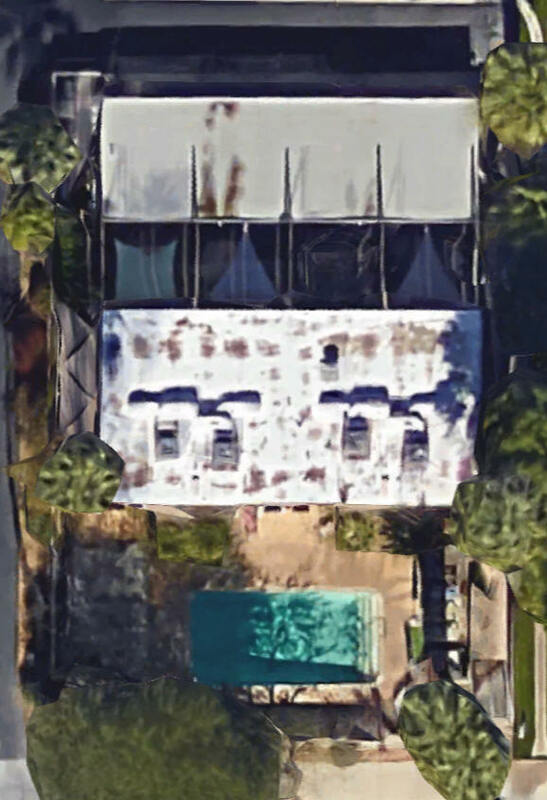 1943 - The Brian Aherne and Joan Fontaine House, aka Villa Fontaine, 130 West Racquet Club, Unit 419, Palm Springs CA. Sold to Tab Hunter. Sold in 2015 to Ronald and Donna Jo Roberson. Available for rent. 1944 - The Cliff May Pace Setter Exhibition House, Palm Springs CA. Unbuilt. Cody was the draftsman. May did several of these houses. The first one that was finished was in 1948 in the Brentwood area of LA. 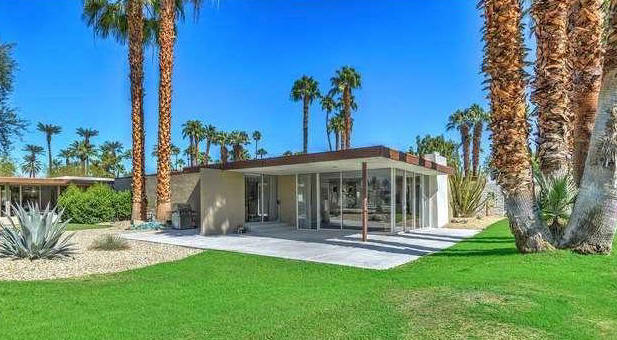 Although several were built, according to May's collection, there are none in Palm Springs. 1945 - Desert Palms Estates, Palm Springs CA. Developed by H. H. Foster and Jimmie Fidler Model Homes. 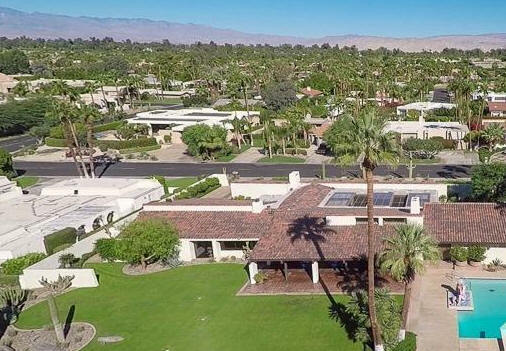 In the Historic Context Statement and Survey drafted by the city of Palm Springs in 2015, Desert Palms Estates was developed by Paul Belding and Russell Garner in 1946. Cody was not involved until 1950 when developer Jack Meiselman approached him to design a series of 3 bed/2 bath house for a cluster of parcels within the tract. Surviving plans indicate two plans with three elevations for each plan, with a total of 6 designs. The appear to be bordered by Park Drive to the north, McManus to the south, Sunset Way to the east, and other tract parcels to the west. Archival documentation is incomplete. No mention of H. H. Foster or Jimmie Fidler, yet in the newspaper drawing, it shows their names and a drawing of a spec house that is already open at the corner of Cerritos and Park, which is within the development. Perhaps there were more developers working in the same area. None of the houses appear to be the same as in his drawing in the newspaper. Comparisons indicate the following addresses, and additional parcels may have been included. Build dates range from 1954 to 1966. Needs verification. 1947 - The Bud Domke Residential Development, Palm Springs CA. Probably unbuilt. 1947 - The Russell D. Garner House, Palm Springs CA. This appears to be part of the 1945 H. H. Foster development. 1947 - The Jennie Lawson and Annie Plymire House, Palm Springs. Unbuilt. 1950 - The Dorothy Levin House, 1940 East McManus Drive, Palm Springs CA. Commissioned 1948. Located in Desert Palms Estates. Sold in 2012 to Gretchen, Robert, Lillian, and Patricia Murphy. 1950 - The Milbank McFie House, Smoke Tree Ranch, Palm Springs CA. Do you know where it is? 1950 - The Dr. R. A. Franklyn House, Los Angeles CA. Do you know where it is? 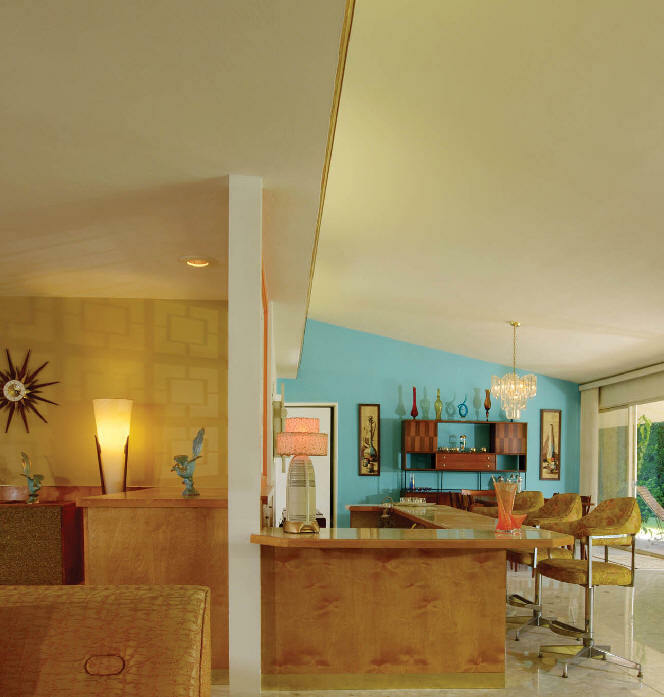 Around 1950 - The George Cameron House, Thunderbird Country Club Estates, Rancho Mirage CA. Do you know where it is? 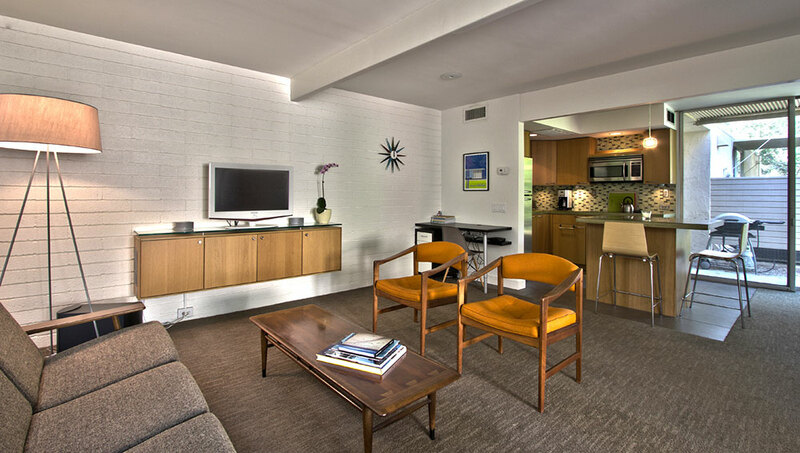 Around 1950 - The Reuben Ella May Fleet Renovation, 221 West Merito Place, Palm Springs CA. Original house was built prior to 1948 with with an addition done by Harry Williams (E. Stewart Williams' father) in 1948. 1951 - The John Dawson House, Thunderbird Country Club, Rancho Mirage CA. Do you know where it is? 1951 - The McDaniel House, Thunderbird Country Club, Rancho Mirage CA. Probably unbuilt. 1951 - The Walter Smyth House, Palm Springs CA. Unbuilt. 1951 - The Paris Letsinger House, Thunderbird Country Club, Rancho Mirage CA. Do you know where it is? 1951 - The George Scrimshaw House, Thunderbird Country Club, Rancho Mirage CA. Do you know where it is? 1952 - The Tom and Anita May House, 424 West Vista Chino, Palm Springs CA. 1952 - The William F. and Winifred Cody House, 1950 East Desert Palms Drive, Palm Springs CA. Commissioned 1947. Several remodels. Sold in 1989 to Francisco (Frank) and Cheryl Urrutia. 1952 - The Joseph and Bernice Malone House, Palm Springs CA. Do you know where it is? 1952 - The McManus Apartments, Palm Springs CA. Probably unbuilt. 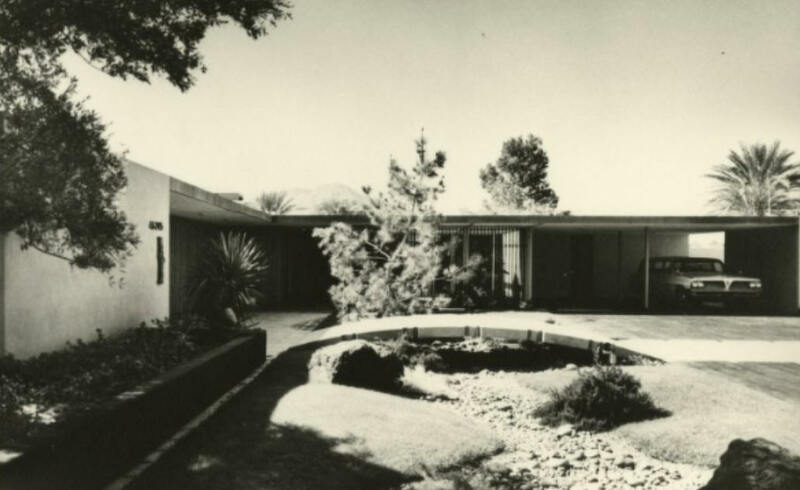 1952 - The William Perlberg and Bobbie Brox House, 888 North Avenida Palmas, Palm Springs CA. Commissioned 1951. Sold in 2004 to Kenneth and Nancy Kranzberg. 1953 - The M. O. Anderson House, Tamarisk Country Club, Palm Springs CA. Unsure if built. Do you know where it is? 1953 - The Joe G. Dyer House, 40105 Sand Dune Road, Thunderbird Country Club, Rancho Mirage CA. Sold to Beverly J. Smith. 1953 - The Westlake Builders Company Residence, Tamarisk Country Club, Rancho Mirage CA. Do you know where it is? 1953 - The William Janss House, El Dorado Country Club, Palm Springs CA. 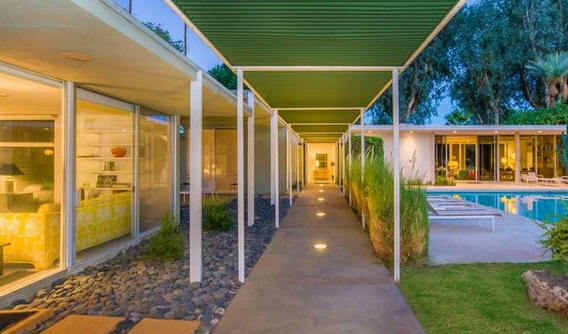 Cody has the commission listed in his archives but the Janss' ultimately had architect Edward J. Fickett design their home in 1961. Do you know where it is? 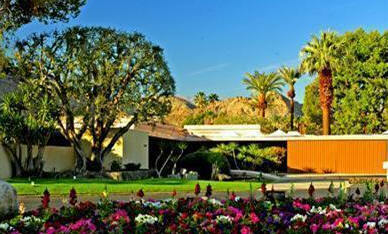 1954 - The Thunderbird Country Club Units, 70895 Country Club Drive, Rancho Mirage CA. Comomissioned 1951. Built for Lou Manseau who subdivided the land at Thunderbird Country Club for homesites. Four single family condominiums with separate unit numbers. Manseau is listed at this address at the time of his death in 1978 but no specific unit is listed. 1954 - The Robert and Patricia Gerstenzang House, Palm Springs CA. Sold to Henry Busse. Do you know where it is? 1954 - The William T. Byrne House, Palm Springs CA. Do you know where it is? 1954 - The Lou Manseau House, Thunderbird Country Club "Fairway Unit", Rancho Mirage CA. House was built. Do you know where it is? 1954 - The L. L. Oakes House, Club View Drive, Thunderbird Country Club, Rancho Mirage CA. House was built. Do you know where it is? 1954 - The Frank Ruben House, Palm Desert CA. Do you know where it is? 1954 - The Frank Long House, Beverly Hills CA. Do you know where it is? 1954 - Thunderbird Park Development, Indio CA. Unbuilt. 1955 - The Rey Blumenthal House, Palm Springs CA. Unbuilt. 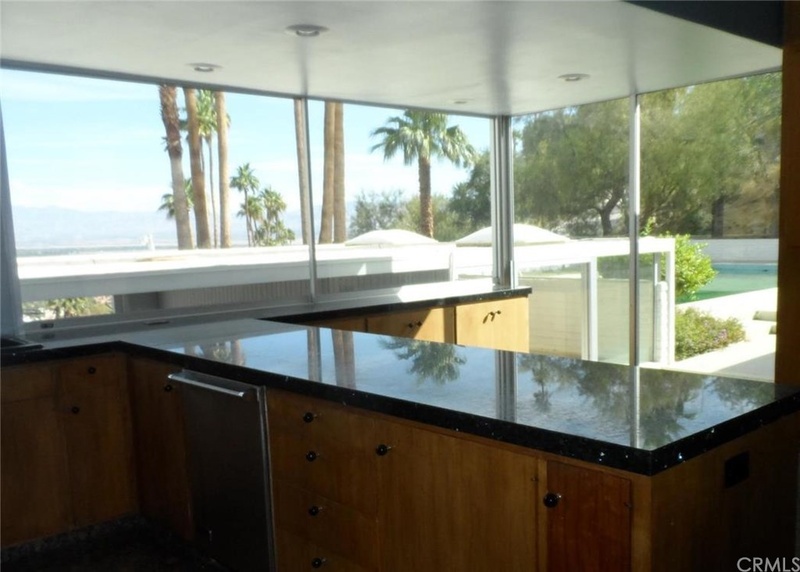 1955 - The Hoagy Carmichael Renovation, 40-267 Club View Drive, Thunderbird Country Club, Rancho Mirage CA. Original house was built in 1953. 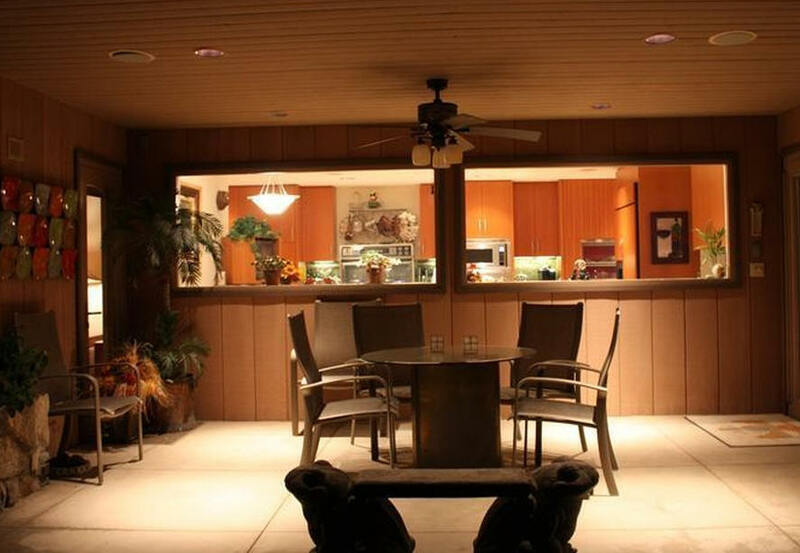 Another renovation in 2003 stayed true to original design with only the kitchen and patio being expanded. Sold in 2015 to Kathleen Doherty. 1955 - The Earl M. Jorgenson House, aka the Jorgenson/Mavis House, 40253 Club View Drive, Thunderbird Country Club, Rancho Mirage CA. Commissioned 1954. The Jorgensens used the house season then sold it in 1956 to Paul and Katharine Mavis, still owners as of 2012. 1955 - The F. Mottle House, Palm Springs CA. Do you know where it is? There were additions/alterations in 1963. 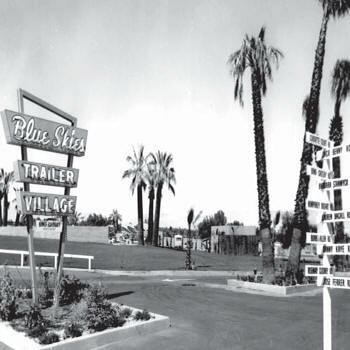 1955 - The Blue Skies Trailer Village, 70260 CA-111, Rancho Mirage CA. Next to Thunderbird Country Club. Backed by Bing Crosby who was President of the new trailer park when it opened. The original manufactured homes, some still exist, were built with ramadas and cabanas, some with flagstone terraces. It is now a 55+ community where owners own the land that their home sits on..
1955 - The Mottle and Jones Development, aka Desert Estates. Probably unbuilt. 1955 - The Tahquitz River Estates, Palm Springs. Unbuilt. Around 1955 - The Jack Meiselman Development, Palm Springs CA. Unbuilt. 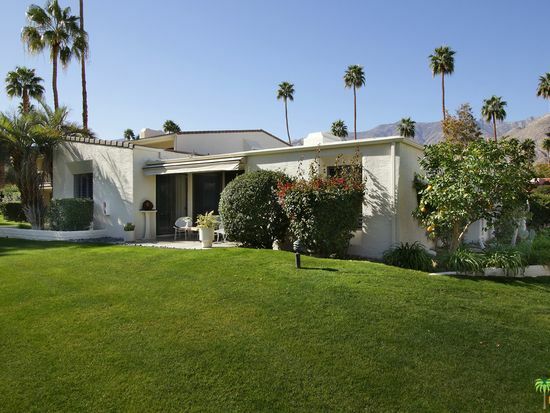 1956 - The W. A. Moncrief House, 71022 Country Club Drive, Thunderbird Country Club, Rancho Mirage CA. Featured in Architectural Digest Fall 1959. This was one of 10 homes built by a group of friends and members of Thunderbird Country Club. They purchased a property, allocated 10 parcels to the members of the group, and had a common area with a pool for recreation and socializing. They called the neighborhood Thunderbird North. 1956 - The Wilbur and Margaret Bailey House, Smoke Tree Ranch, Palm Springs, CA. Do you know where it is? 1956 - The Sherwood Egbert House, Thunderbird Country Club, Rancho Mirage CA. 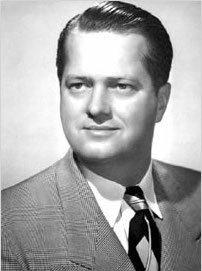 Egbert was President of Studebaker-Packard Corporation. Do you know where it is? 1956 - The Ewald House, Thunderbird Ranch Estates, Rancho Mirage CA. Unbuilt. 1956 - The Lynn Jennings Alternations, Palm Springs CA. Do you know where it is? 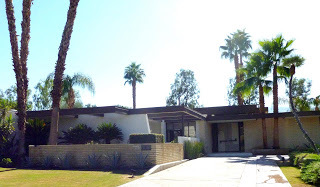 1952 - The Austin Peterson House, aka Frank Sinatra House, aka Wonder Palms Compound, 70588 Frank Sinatra Drive, Tamarisk Country Club, Rancho Mirage CA. 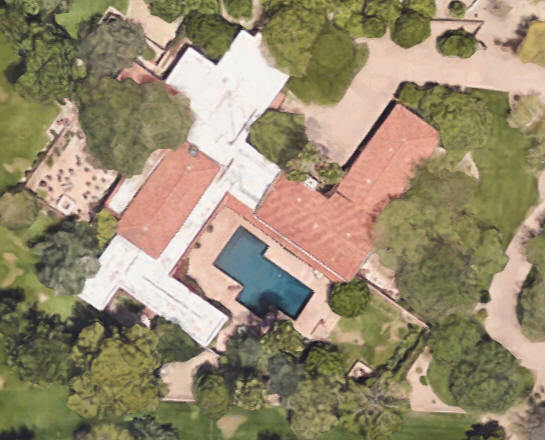 Before Peterson could move in, Sinatra bought the house from him. In 1955 Sinatra put the house up for sale but had a change of heart and in 1956 had Cody add another room and bath. 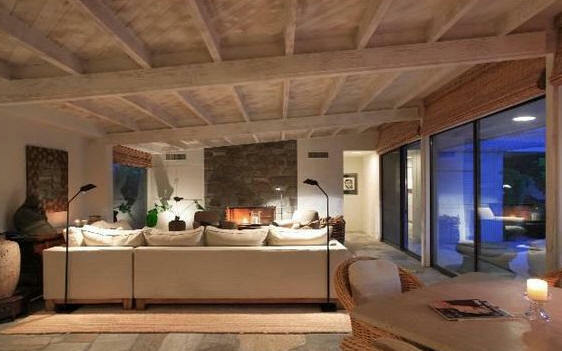 Cody did several additions for Sinatra including adding two two-bedroom cottages by the pool. 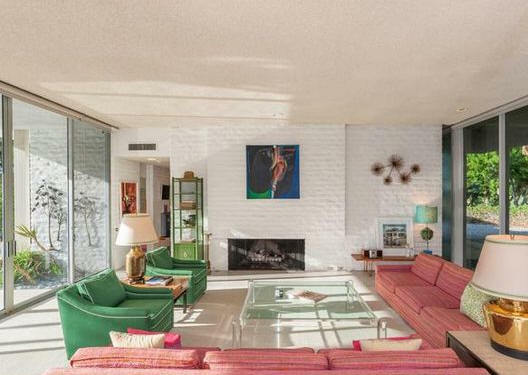 In 1976, Barbara Sinatra hired interior decorator Bea Korshak and architect Ted Grenzbach who added a master suite as well other renovations. 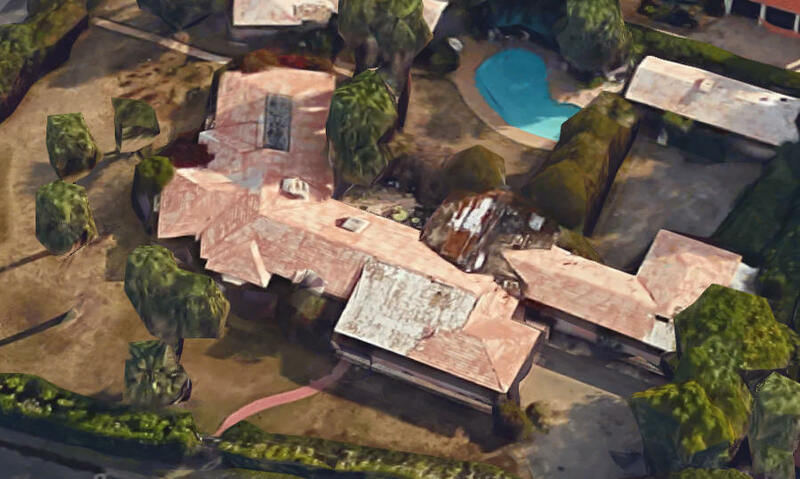 Sinatra purchased adjoining lots over the years and the house expanded to 18 bedrooms and 23 bathrooms. 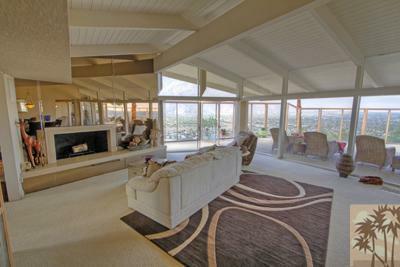 Sold to Jim Pattison Inc.
1957 - The Araby Point Estates Development, Palm Springs CA. Early newspaper says that the location is past Smoke Tree Ranch on Araby Drive. Do you know where it is? 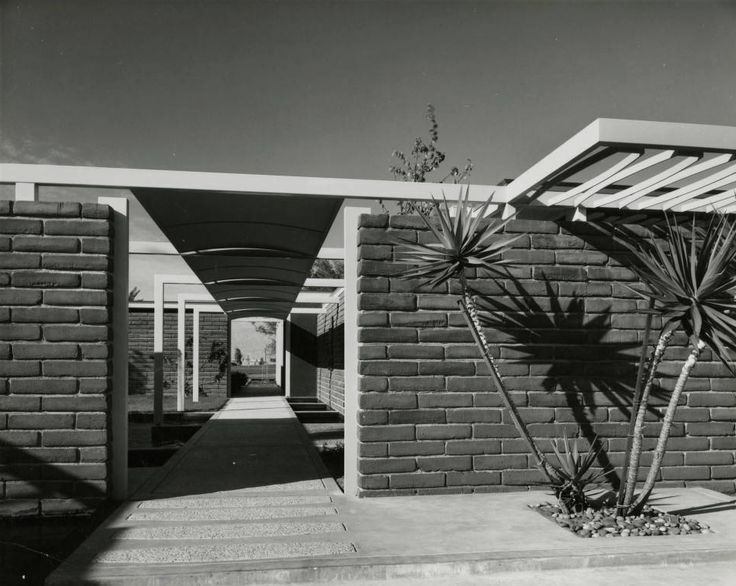 1957 - The Edwin Landsfield House, Deep Wells CA. Unbuilt. 1957 - The Holub House, 37845 Thompson Road, Rancho Mirage CA. 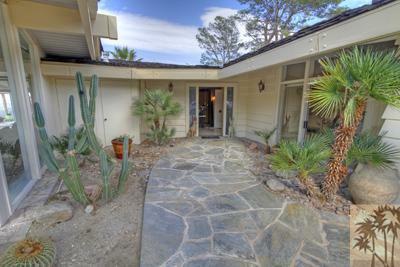 Located in Wonder Estates on the 16th fairway of Tamarisk Country Club. Sold in 2013 to Stephen and Sara Sessa. 1958 - The Ronald Williams House, Eldorado Country Club, Indian Wells CA. Built. Do you know where it is? 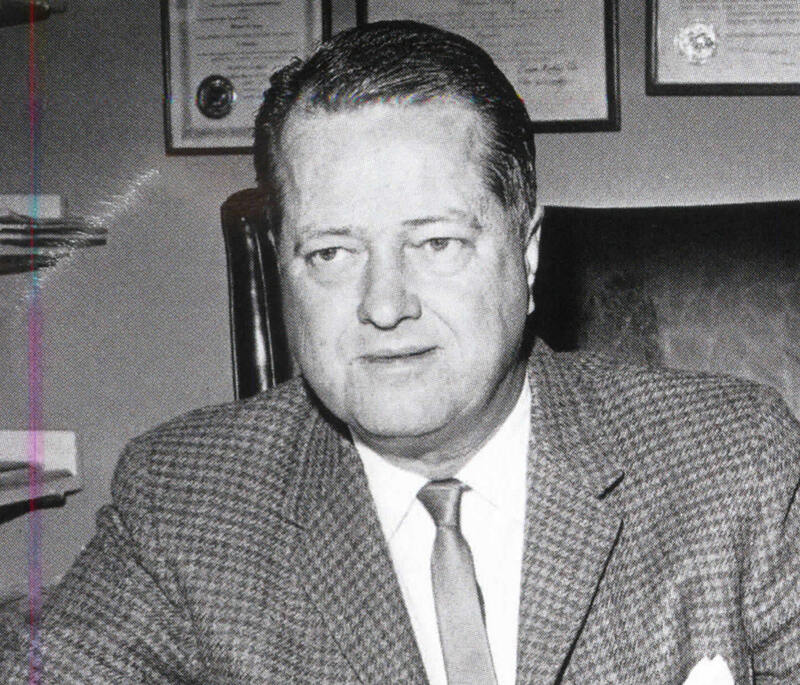 Williams was one of the founders of Eldorado as well as the developer of Town and Country Village Shopping Centers. 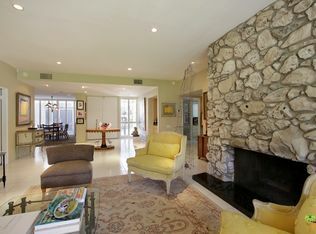 1958 - 71076 Country Club Drive, Rancho Mirage CA. Sold in 2013 to Michael Lee and Barbara Malamut. 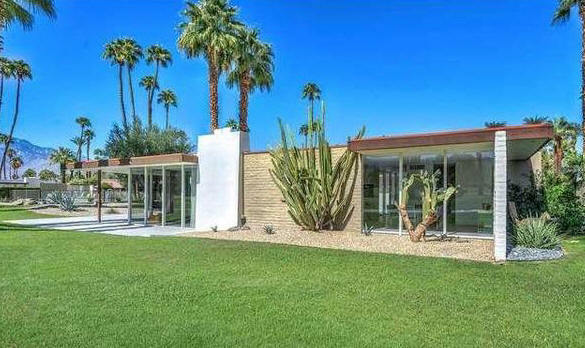 1958 - The Gillin House, 70-924 Fairway Drive, Rancho Mirage, CA. Sold in 1996 to Walter and Deborah Cruttenden. 1959 - The Nathaniel Rogers House, 46383 Amethyst Drive, Indian Wells CA. Sold 1995 to Lisa Somermeier. 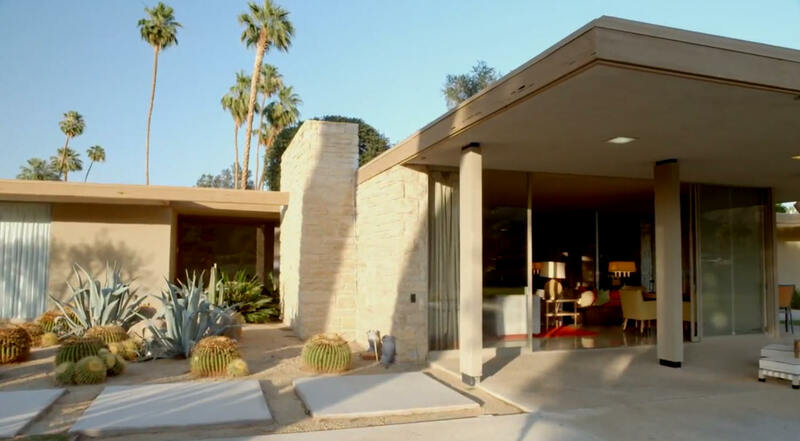 1959 - The Frank Urbanek House, Indian Wells CA. Unknown if built. 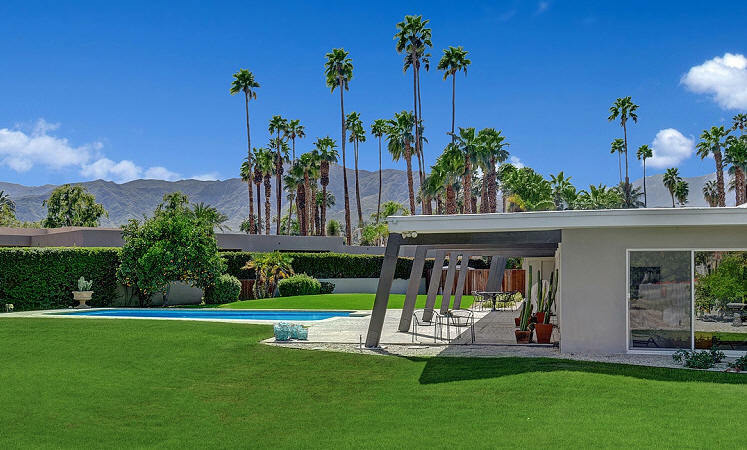 1959 - The Freylinghuysen House, 707 West Panorama Road, Palm Springs CA. Later renovations by Albert Frey. 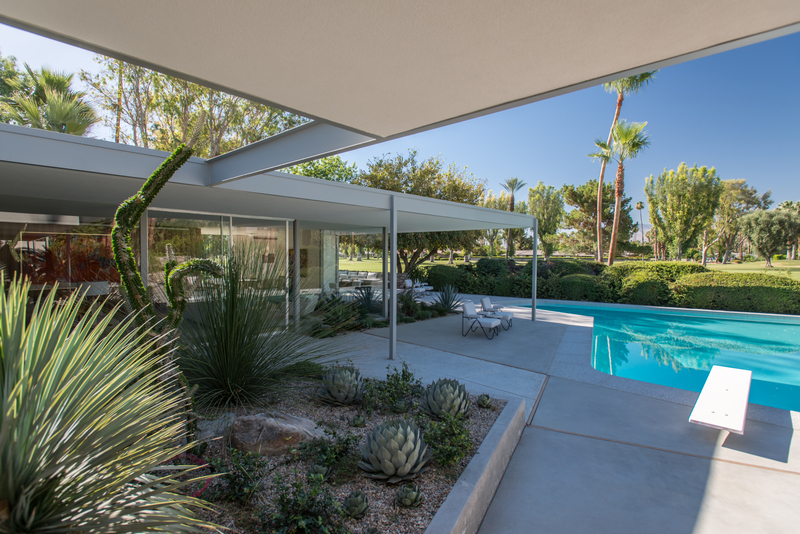 1960 - The Charles Clare House, 71-088 Fairway Drive, Rancho Mirage, CA. Commissioned 1959. Interiors by Arthur Elrod. 1960 - The Louise Nicoletti House, 40941 Tonopah Road, Thunderbird Country Club, Rancho Mirage CA. Unfortunately renovated such that Cody's Mdoernist design is unrecognizable. 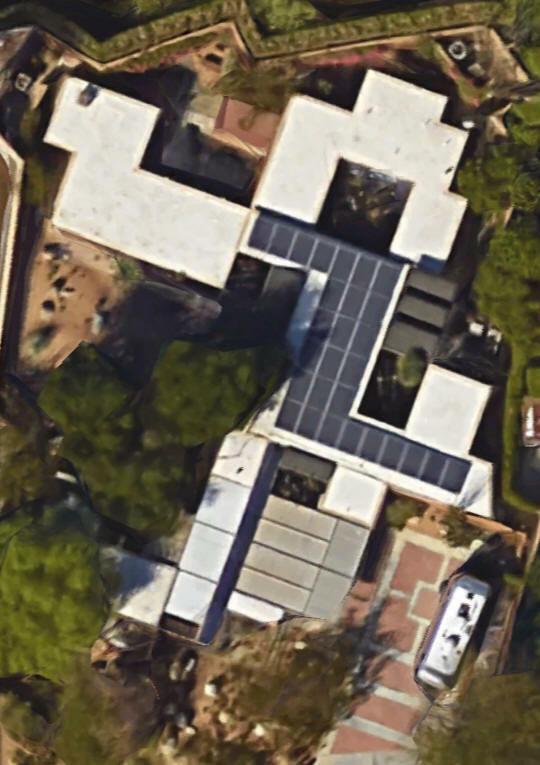 1960 - The Raymond and Doris Mithun House, 46785 East Eldorado Drive, Eldorado Country Club, Indian Wells CA. Destroyed in 1999 and a new house built. Still belongs to the Mithun family as of 2015. 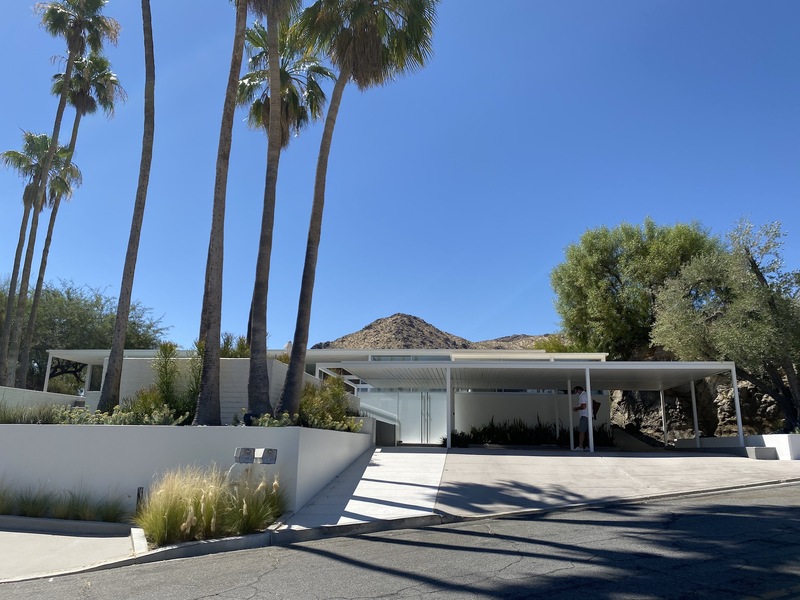 1960 - The Charles and Winifred Becker Addition, 828 Avenida Palos Verdes, Palm Springs CA. Original home built in 1932. Sold to Ray and Ada Dodge. Sold to Troy and Louise Post. Sold to Charles and Katherine Shorter. 1960 - The Raymond Royer Alterations, Palm Springs CA. Status unknown. 1960 - The John Rutherford House, Twentynine Palms CA. Probably unbuilt. 1960 - The Howard Standish Watson House, Eldorado Country Club, Palm Desert CA. Probably unbuilt. 1960 - The Russell Chase Alternations, Eldorado Country Club Cottages West, Indian Wells CA. Alterations. Above photo is of a cottage but not the Chase Cottage. Status unknown. Do you know where it is? 1960 - The Shepherd Mitchell Alterations, Eldorado Country Club Cottages West, Indian Wells CA. Status unknown. Do you know where it is? 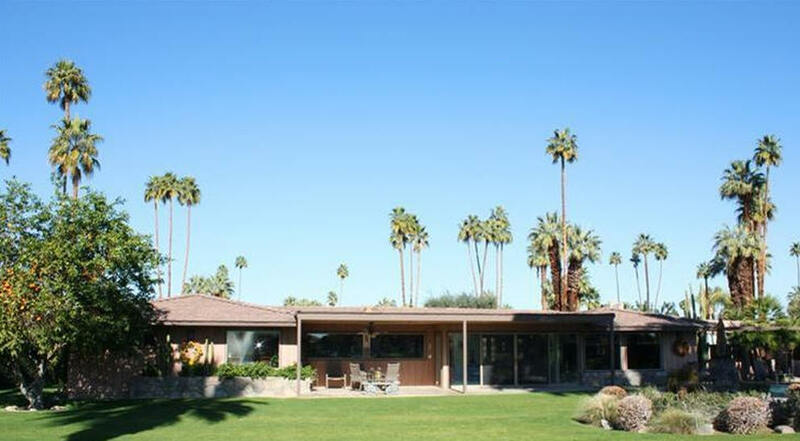 1961 - The Swett and Crawford House, 75-900 Fairway Drive, aka Lot 4 Desert Bel Air Estates, Indian Wells CA. Built by Robert (Bob) Higgins. Commissioned 1960. Developed by Filmore Crank and Beverly Garland, who lived there a short time when it was a demo house for the neighborhood. Sold to John C. Spencer. Golf cart garage addition in 1968. Sold to Erin and Steve Hernandez. Sold in 2017 to Jessy Moss. 1961 - The Virginia and Holmes Tuttle House, address unknown, part of the Eldorado Country Club Cottages West, Indian Wells CA. Commissioned 1957. Each room has its own exterior access. Interiors by Arthur Elrod. 1961 - The Pat and Randolph Scott House, address unknown, part of the Eldorado Country Club Cottages West, Indian Wells CA. Commissioned 1957. Each room has its own exterior access. Interiors by Arthur Elrod. 1961 - The Leonard and Polly Firestone House, address unknown, part of the Eldorado Country Club Cottages West, Indian Wells CA. Commissioned 1957. Each room has its own exterior access. Interiors by Arthur Elrod. 1961 - The Richard Nelson House, address unknown, part of the Eldorado Country Club Cottages West, Indian Wells CA. Commissioned 1957. Each room has its own exterior access. Interiors by Arthur Elrod. 1961 - The Owen Goodman Multi-Residential Development, Palm Springs CA. Probably unbuilt. 1961 - The Sloane House, aka the La Quinta Display House, La Quinta CA. Do you know where it is? 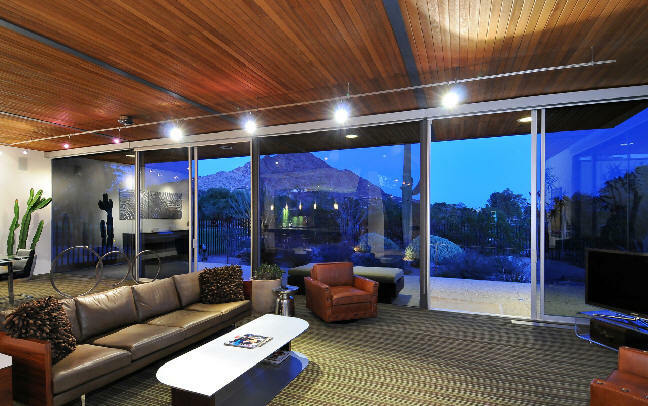 1961 - The Douglas Driggs House, 7610 North Shadow Mountain, Paradise Valley AZ. Sold in 2014. 1961 - The Philip Goldman House, Indian Wells CA. Status unknown. The Desert Sun, December 9, 1949 reports, "Desert Bel Air New Home Development Goes on Sale. Located on Highway 99 a few miles east of its intersection with Ramon Road. Tract consists of 1,500 acres. Sale of first 58 tracts has begun." In 1965, they were still for sale. State Route 99 was decommissioned in the mid-1960's when Interstate 5 was opened. Needs verification. 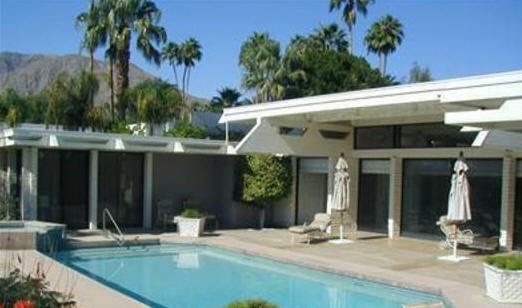 1962 - The Robert and Betty Cannon House, 46295 Amethyst Drive, Eldorado Country Club, Indian Wells,CA. Sold in 2005 to Thomas and Sandra Warde. 1962 - The George Eccles Alteration, Eldorado Country Club, Indian Wells CA. Do you know where it is? 1962 - The Jennings B. and Anna Shamel House, Eldorado Country Club, Indian Wells CA. Do you know where it is? Featured in Architecture West November 1965. 1962 - The Tennis Club Bungalows Addition, Palm Springs CA. Updates in 1964. Do you know where it is? 1962 - The Sidney Charney House Alterations, 37127 Marx Road, Rancho Mirage CA. Original design by Wexler and Harrison; landscape architect, Garrett Eckbo. Sold to Thomas and Jacqueline Schiff. 1962 - The Garrett House Alterations, Eldorado Country Club, Indian Wells CA. Unsure if built. Do you know where it is? 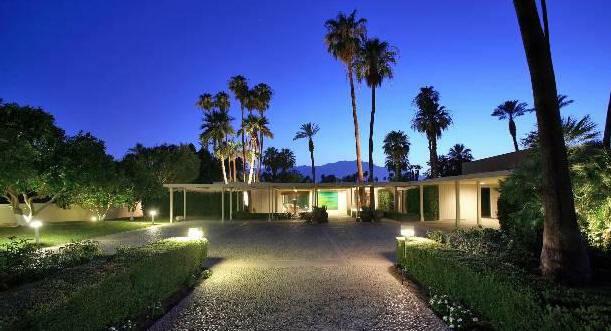 1962 - The James and Madge Abernathy House, 611 North Phillips Road, Palm Springs CA. Sold in 1991 to Hal Broderick. Sold in 2004 to Perry McKay. Sold in 2005 to Eric Ellenbogen. Updates in 2012 by architect Michael Haverland. 1962 - The Borwick-Emrich House, aka the Cody Melamed House, 37-361 Marx Road, Rancho Mirage CA. Not a Cody design as is often attributed; it was designed and built by Robert Marx. Featured in Architecture Digest Fall 1962 (needs verification). Sold to Maurice Melamed in 1965. Interior renovation by Arthur Elrod. For sale in 2017. 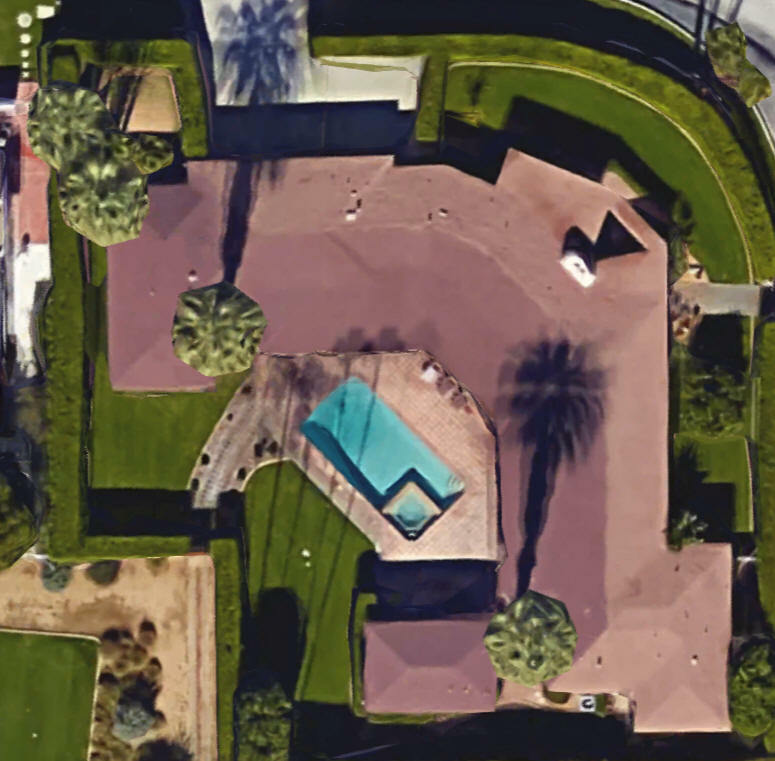 Year unknown - The Maurice Melamed House, 37-690 Golf Circle, Rancho Mirage CA. Interiors by Arthur Elrod. 1963 - The Henry and Diana Jaffe House, 37200 Palm View Road, Tamarisk Country Club, Rancho Mirage, CA. Sold to Jeffrey Plansker in 2015. 1963 - The Harold Hirsh House, Palm Springs CA. Unbuilt. 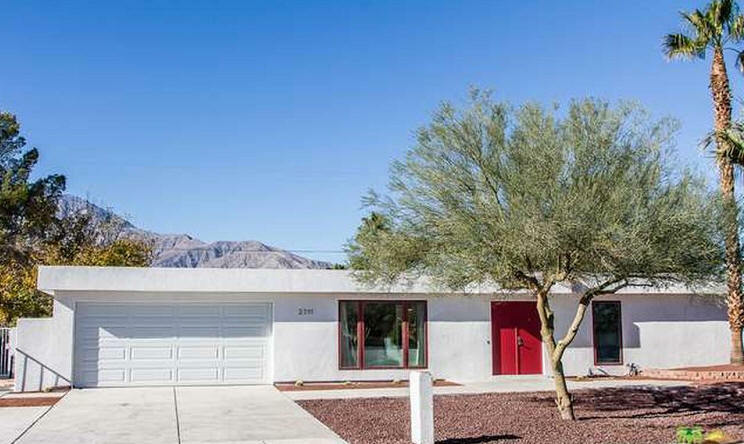 According to an article in the Desert Sun, February 4, 1967, the couple dropped architectural plans for their new abode on the 17th fairway in the hands of their builder, Budd Moone and architect Howard Frank, and took off on their first European tour in July 1964." 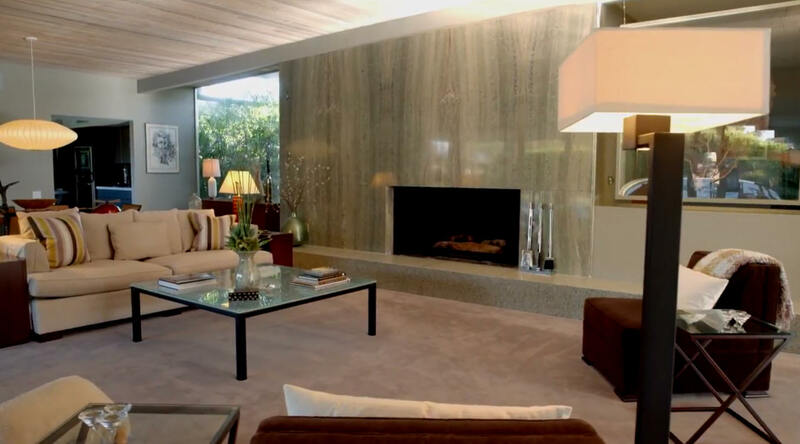 The Frank-designed home was featured in a home tour in March 1967. 1963 - The H. W. McCurdy House, Eldorado Country Club, Indian Wells CA. Probably unbuilt. Do you know where it is? 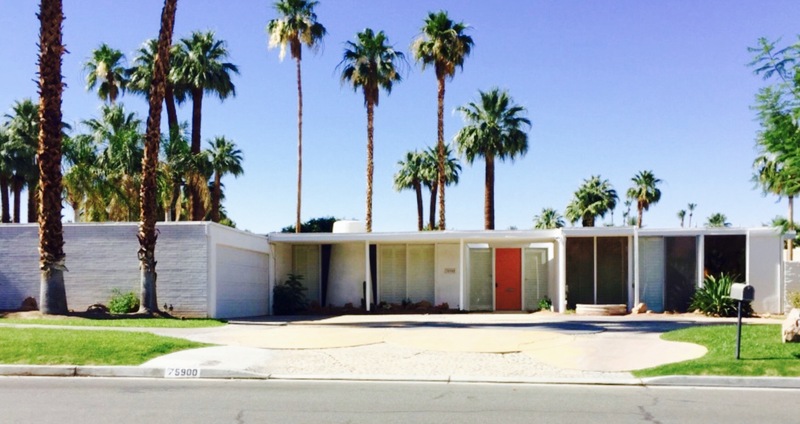 1963 - The Waldo and Alice Avery House, 355 West Vereda Sur, Palm Springs CA. Interiors by Arthur Elrod. 1963 - The Mirage Cove Drive Apartments, aka the Indian Springs Apartments, 70200 Mirage Cove Drive, Rancho Mirage CA. 8 units. Project architect, Alfred Beadle. Sold in 2005 to Grant Bayme. 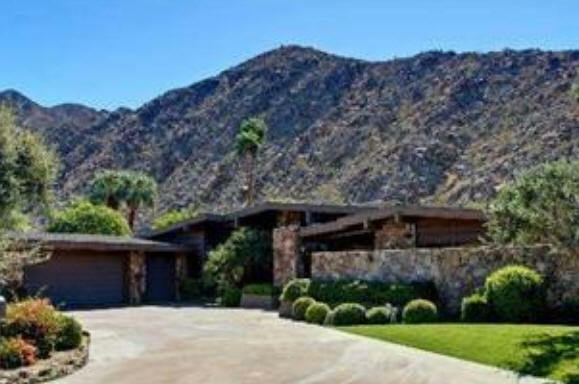 1964 - The Stanley and Phyllis Goldberg House, 2340 Southridge Road (originally Tiger Tail Lane), Palm Springs CA. Commissioned 1963. Featured in Architectural Record in the fall of 1967. Sold in 2013 to Southridge Property Owners Association. Sold in 2016 to David Zippel and Michael Johnson. 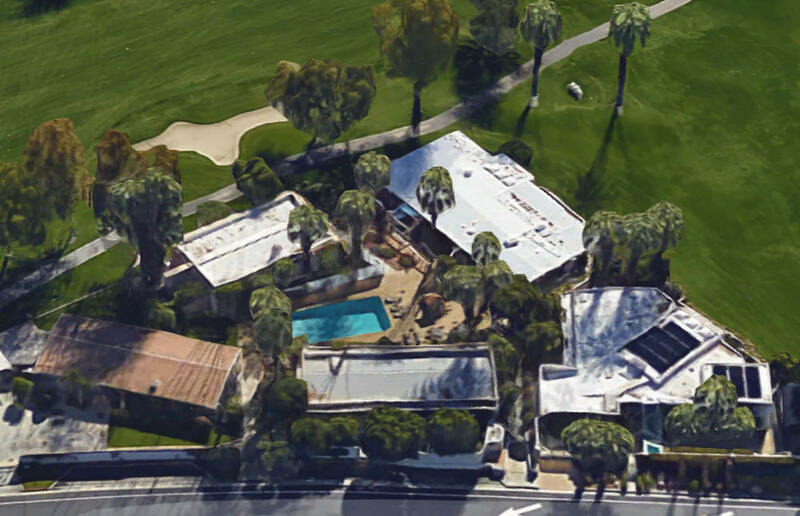 1964 - The Racquet Club Cottages West (aka Racquet Club Garden Villas), 360 West Cabrillo Road, Palm Springs CA. Formerly 2743 North Indian Avenue. 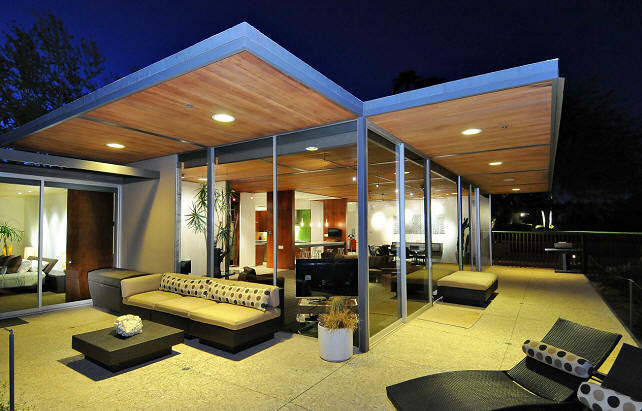 Built by developer Paul Trousdale in 4 designs: Full Cottage, Living Room Suite, The Bachelor, and The Bedroom Suite. It was planned to be a larger development, but financial issues kept it to half the planned size. The 54 units built were then combined into 37 units numbered between 101 and 232. Commissioned 1960. Middle photo by Dan Chavkin. Last photo is Unit 122. 1964 - The Arthur E. and I'Lee Bailey Alterations, Smoke Tree Ranch, Palm Springs CA. Interiors by Arthur Elrod. Do you know where it is? 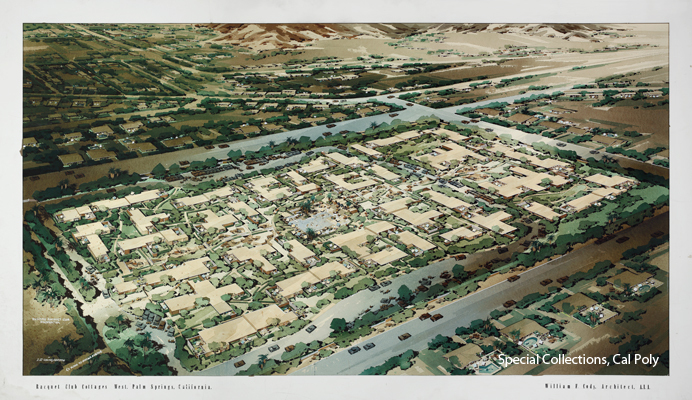 1964 - The Indian Springs Multi-Residential Development, Riverside County CA. Probably unbuilt. 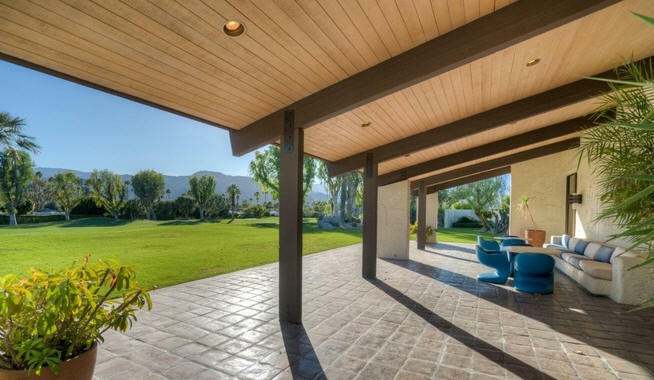 1964 - The Maurice Melamed House, 37630 Golf Circle, Rancho Mirage CA. Not long after completion, the Melameds liked the Borwick-Emrich House on Marx Road better, and bought it. Sold to Howard Scott. 1964 - The Ralph Ogden House, Eldorado Country Club, Indian Wells CA. Do you know where it is? 1964 - The Paul J. Schmitt House, Eldorado Country Club, Indian Wells CA. Do you know where it is? 1965 - The Donald T. Randall House, Eldorado Country Club, Indian Wells CA. Do you know where it is? 1965 - The Jacques Clerk House, Palm Desert CA. Do you know where it is? 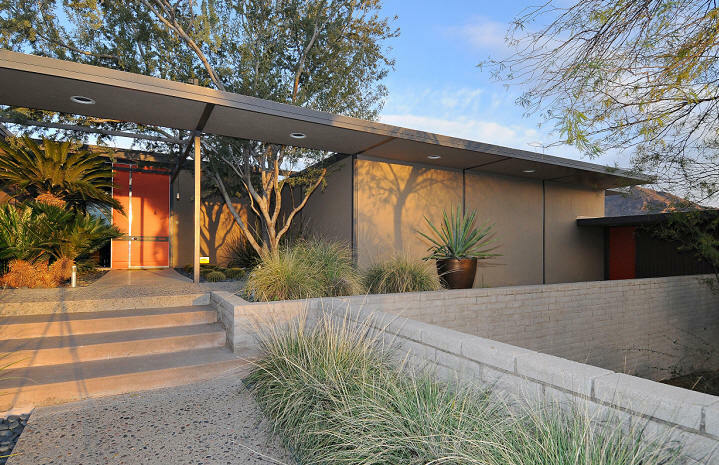 1965 - The Weir McDonald House, 6969 Tatum Boulevard, Paradise Valley AZ. 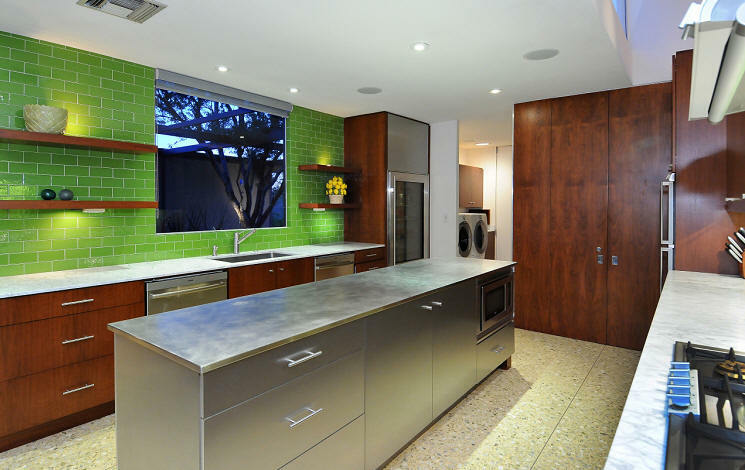 Designed with Phoenix architect, Al Beadle. Sold for first time in 1998 to Jamie Lendrum. Sold in 2005 to Tim and Robin Wolf. Sold in 2010 to Steven and Ann Sells. Sold in 2013 to Max and Rebeca Wineberg. Sold in 2014 to Laura Goone. 1966 - The Cannon-Munday and Associates Development, Eldorado Golf Club Estates, Indian Wells CA. 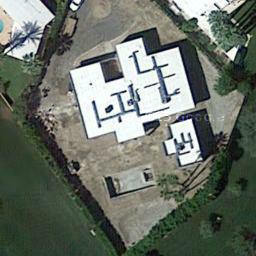 We think this is the same as Eldorado Country Club Estates, needs verification. 1966 - The Frank Rusalem House, Palm Springs CA. Alterations. Probably unbuilt. Mr. Rusalem was the owner of Pepper Tree Inn and Pepper Tree Plaza. 1967 - The Palm House, 71786 San Gorgonio Road, Palm Springs CA. Sold in 2013 to John and Cheryl Davies. 1967 - The Homer Scott Additions, Smoke Tree Ranch, Palm Springs CA. Do you know where it is? 1967 - The Thomas Bannan House, El Dorado Country Club, Palm Springs CA. Do you know where it is? 1968 - The Ely Callaway House, Eldorado Country Club, Indian Wells CA. Do you know where it is? 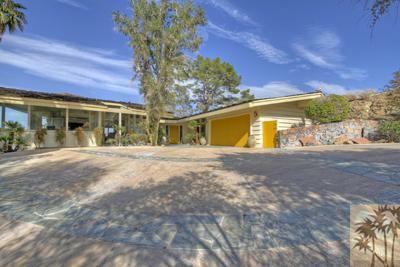 1968 - The William and Barbara Foster House, 603 La Mirada, Palm Springs CA. Interiors by Arthur Elrod. 1968 - The Richard McCulloch House, Playa del Rey CA. Probably unbuilt. 1969 - The Desert Air Condominiums Development, Desert Air Drive, Rancho Mirage CA. Specific addresses: 72010, 27014, 72020, 72026, 72032, 72038, 72044, and 72048, ranging from 1 bedroom, 1 bath, to 3 bedrooms, 2 baths. These are the 4 buildings south of the pool at center. 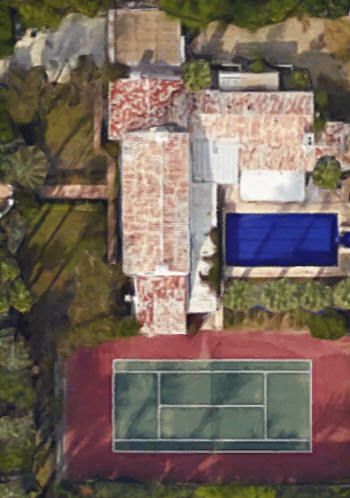 In Cody's collection they are listed as Units A, B, C, D, F, and H.
1969 - The Clarence and Marion Brown Alterations, Eldorado Country Club, Indian Wells CA. Do you know where it is? 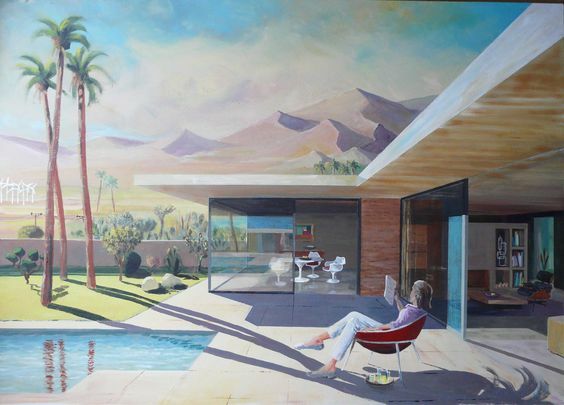 1969 - The Max Stoffel House, 2288 Southridge Drive, Palm Springs CA. 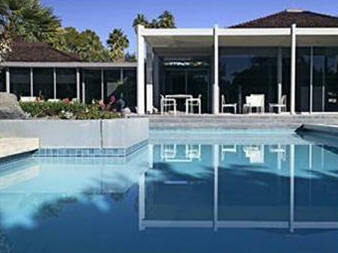 Original house built in 1961 by architect Ross Patton (who designed Frank Sinatra's mountain retreat, "Villa Magio"). Sold to Jean Washburn, widow of Donald Washburn founder of 7-UP, who made some renovations For sale in 1987. Sold in 2013 to Gregory Wilcox and Candis Richmond who extended the garage and made some minor changes to the exterior entrance very much in keeping with the original home. 1969 - The Tamarisk Country Club Fairway Condominiums, Tamarisk Country Club, Rancho Mirage CA. Addresses include: 1, 2, 3, 4, 5, 6, and 7 Cody Court. All are 3 bedroom, 2.75 bath, approximately 3,500 square feet. Photos are of 7 Cody Court. 7 Cody Court - sold in 2013 to Dan Thompson and Daniel Wylie. Sold in 2016. 1969 - The Ted Weiner House, Palm Springs CA. 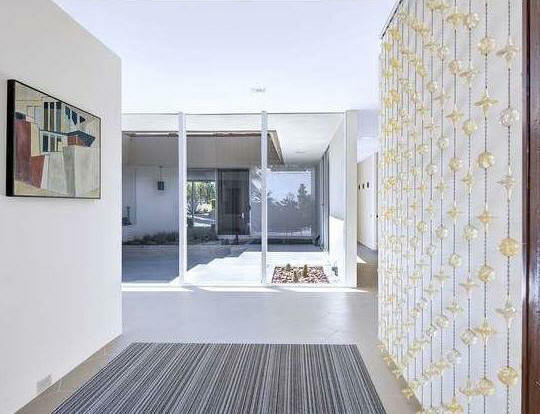 He also had a modern home built in Texas in 1949 designed by Edward Larrabee Barnes. Do you know where it is? 1969 - The Edna Root Shapiro House, 711 West Panorama Road, Palm Springs CA. Designed with Michael Black. Sold to Ahmet and Patricia Oygar. 1969 - The Holmstead Apartments, Lake Havasu AZ. Unbuilt. 1970 - The Quivara Country Club Condominiums Clubhouse, Indian Wells CA. Unbuilt. 1970 - The John King House, 29 Sunset, Englewood CO. Interiors by Arthur Elrod. 1970 - The Andreas Hills Condomiums, Bogert Drive, Palm Springs CA. The first phase of the project was done in 1970, a second opened in 1972, and plans were in the works for Cody to begin drawings in Springs of 1973 for the 3rd phase. Above example is 3470 Bogert Trail. Sold in April 2018 to Frank Garafolo and Donald Osborne. 1970 - The Sam Rubenstein House, 71051 Tamarisk Lane (previously known as 37th Avenue), Rancho Mirage CA. Sold in 2014 to Doug and Shelly Swerland. 1970 - The James L. Killion House, Eldorado Country Club, Indian Wells CA. Do you know where it is? 1970 - The Byron and Ruth Foster House, 37-647 Palm View Road, Tamarisk Country Club, Rancho Mirage CA. Interiors by Arthur Elrod. 1971 - The Palm Canyon Village Multi-Residential Development, Palm Springs CA. Probably unbuilt. 1972 - The Whitewater Country Club Condominiums, North Whitewater Club Drive, Palm Springs CA. Originally the San Jacinto Country Club developed by Noel Clark in 1959, it was purchased by Harry Chaddick in 1972 and redesigned. 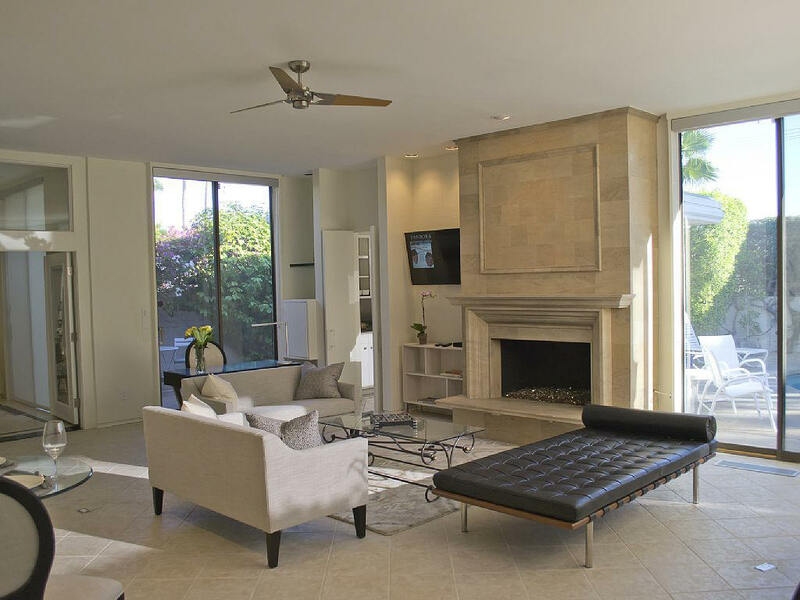 William Cody planned the 236 fairway condominiums, with interior design work by Ginger Tamack. The first 60 opened in spring of 1972. The country club was renamed Palm Springs Country Club in 1976. 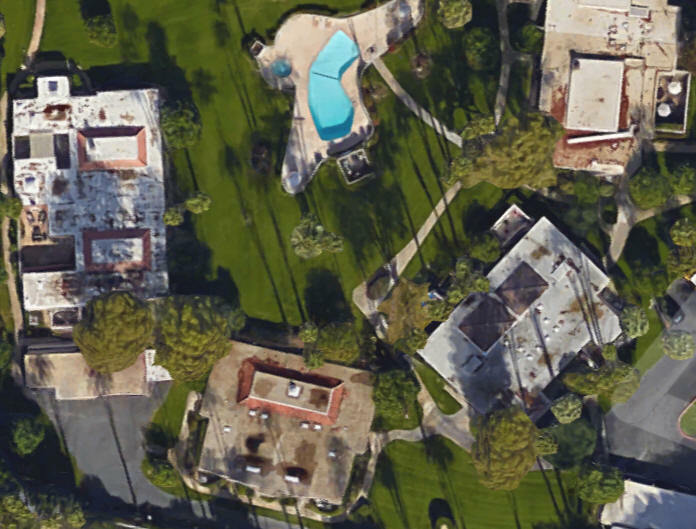 Over the years the country club itself fell into disrepair but the condominiums remain. Dates on condos range from 1959 through 2010. Sold in 2016 to designer Michael Valles. 1972 - The Harry Barrand House, Thunderbird Country Club, Rancho Mirage CA. 1972 - The Joe and Nelda Linsk Tennis Pavilion, 425 Camino Norte, Palm Springs. 1973 - The Charles Warde House, 46695 East Eldorado Drive, Eldorado Country Club, Indian Wells CA. Sold in 2013 to Robert and Alexandra Levie. Sources include: Morris Newman, Catherine Westergaard Cramer.